Laminate and vinyls floors are tough, beautiful, and can be installed in almost any room in the house. Most laminate and vinyl floors can come in a wide variety of hardwood looks that offers realistic designs with added texture. Most vinyl floors will also offer tile and stone looks. Both can have waterproof options! Choosing the right floors for your project. Long gone are the days of 3-4 options to choose from. To make an educated decision on what type of laminate or vinyl floors is best for you, you need to know of all the options available to you. That’s why our Flooring Center houses over a hundred different laminate and vinyl floor options for you to meet price, practicalitiy, and preference. Contact us today to schedule a your free flooring consultation! 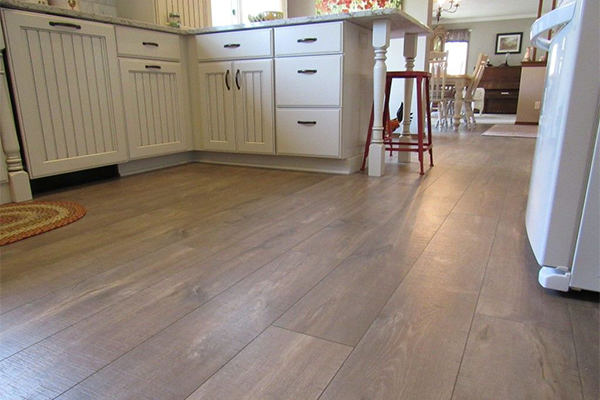 LVP is luxury vinyl flooring that looks like wood planks in everything from color to species. Surface textures often include the look of scraping or embossing, which dramatically heighten the realism. Sheet vinyl is made in large sheets, while luxury vinyl comes in tile or plank sizes to mimic the types of natural flooring that is being produced. And these days, designs are amazingly sophisticated—grouted tile, wood plank, stone. With their trendy colors and styling, they look beautiful. Oh, and its waterproof! Laminate flooring is a layered floor built around a watertight, glued High Density Fibre (HDF) board. Most laminate floors consist of four different layers: A transparent, wear-resistant overlay providing protection against stains, impact, scratches, burns and household chemicals. 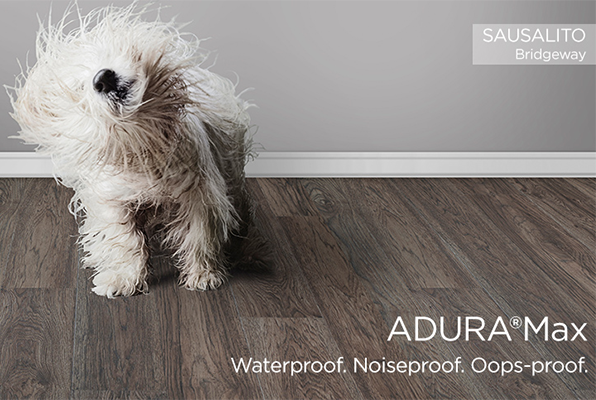 Some laminate floors are now advertising as a waterproof product. At Home Furniture, our Flooring Center will help guide you on which option is the best fit for your project while sticking within your budget. 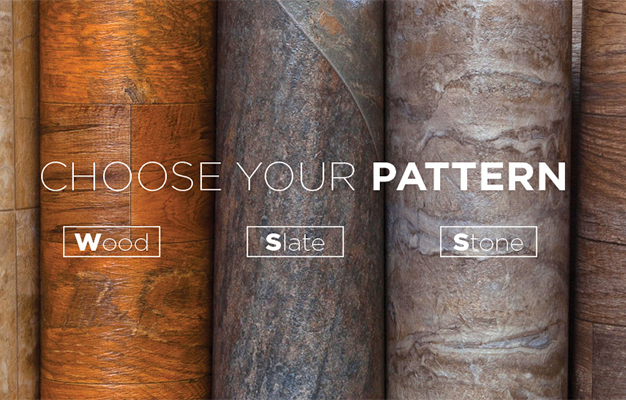 Knowing the difference between sheet vinyl, luxury vinyl tile & planks, and laminate can help you make the right decision for your project.